Cross and Cutlass: She Walks in Power - PreRelease Final Party Day 4! She Walks in Power - PreRelease Final Party Day 4! 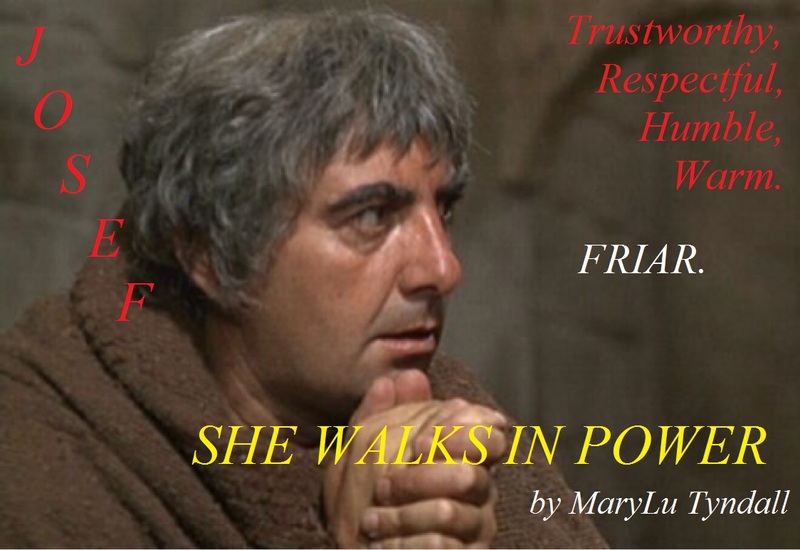 Thank you for celebrating with me the release of my very first medieval romance, She Walks in Power! I expect to have both Ebook and Paperback for sale in most of the online stores by September 2nd, if not sooner! To help celebrate the grand event, I'm hosting a party here on my blog each Friday in August where I will post something about the characters or story which will hopefully get you excited about the book! The grand prize pictured below. 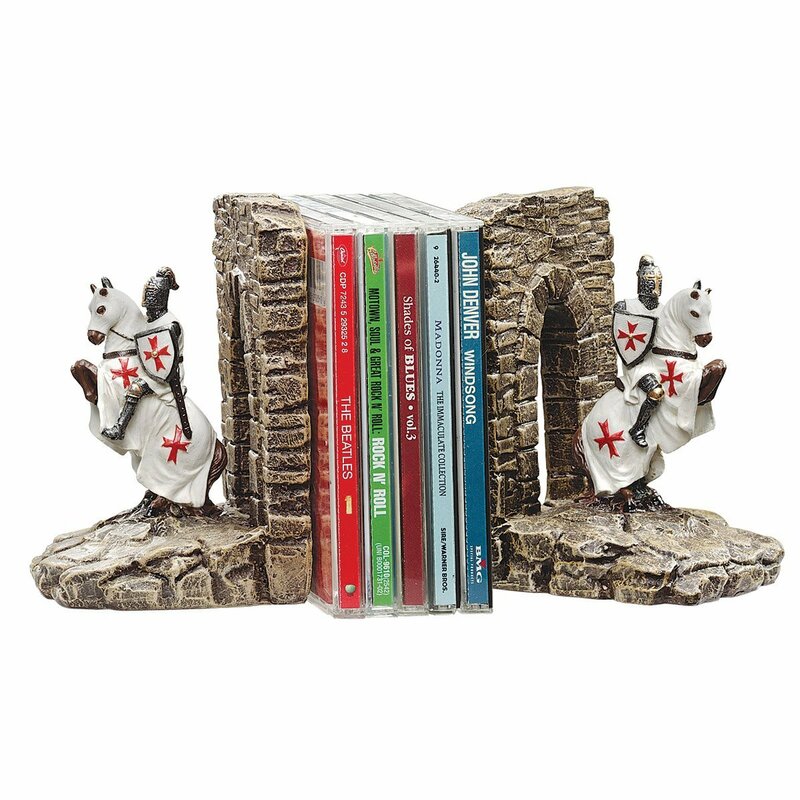 A set of Knight in Shining Armor Book Ends! I will choose the winners and post the names on this blog on September 2nd! Just one more week! If you missed the past 3 posts, it's not too late to enter. You can enter once each Friday, so the more times you enter, the higher chance you have at winning! 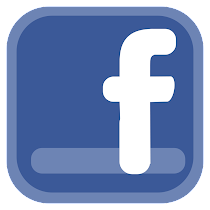 Click on the links below to go to each post. C!! I made it too easy as most of you got it correct. To see the other choices and the excerpt, click on Party Day 3 Above. Why the title, She Walks In Power? One of the reasons I love writing in the Medieval times (besides handsome knights and really cool castles) is that people back then were far more open to the spirit realm than we are today. Our so called "enlightenment" and "Age of Reason", as marvelous as it has been in areas of technology, manufacturing, and general knowledge, has robbed us of our belief in spiritual things, and in particular, spiritual dimensions or realms outside of our own. We tend to not believe in things we cannot see or in things that our god of science cannot explain. Of course if you are a Bible-believing Christian, then you know these things exist---heaven, hell, angels, demons, God, the devil. At least you should! From recent surveys, I've been shocked to discover something like 50% of Christians don't believe in Satan. Good grief. Then who are we fighting against? In many ways, medieval people had a huge spiritual advantage over us today. They believed in healing, demon deliverance, prophecy, the forces of good and evil in the spirit realm. Hence, they experienced these things on a regular basis. Unfortunately, they had a huge disadvantage as well. They were forbidden to read the Bible, so they had no true understanding of these things, making it easy for many to associate with dark spiritual forces masquerading as light. I was very fortunate as a young girl to experience in the early 70s one of the charismatic waves that swept through our nation. I have witnessed healings, tongues and interpretations, prophecies, and demon deliverance first hand. I have also fought spiritual battles in my own family and seen great results. Therefore, it came as a complete shock to me when I returned to the Lord in my 40s and went back to church, that these things were not only never experienced, but they weren't taught either. I'm talking generalities here because I know there are still some churches who believe in the power gifts. The trouble is, if people aren't taught the gifts and they never experience them, then how can they believe God still does these types of miracles? I believe it is an issue of faith which keeps us from truly experiencing all that God has for us. Even Jesus couldn't do miracles in His home town because of their unbelief. That is one of biggest reason I wrote She Walks in Power. My hope is that people who read it will open their minds and hearts a little bit more to these awesome gifts God has given His children. I pray they will see that they aren't something spooky or unnatural, but they are natural and should be common among believers. And most of all, they should be sought after for the sole purpose of bringing God glory and uplifting the saints. 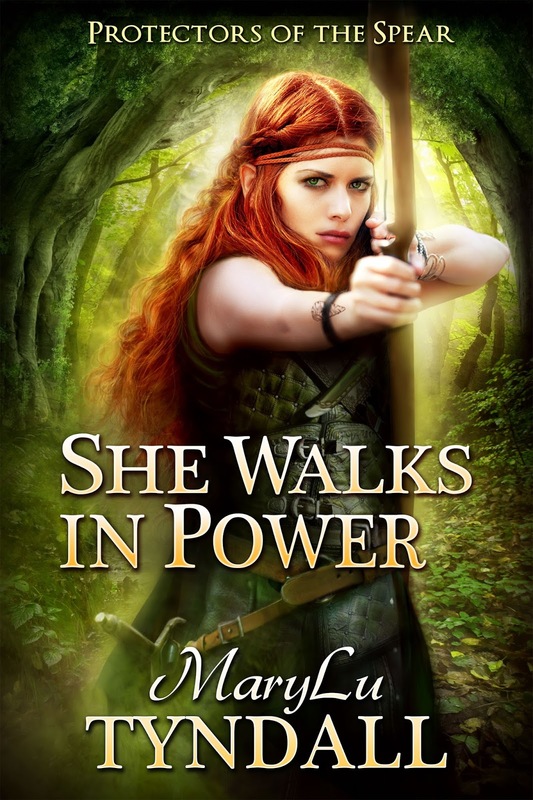 Hence, the title "She Walks in Power"
LAST TIME TO ENTER TO WIN! LEAVE A COMMENT WITH YOUR THOUGHTS ON MY POST, ALONG WITH YOUR EMAIL. I think that you get your message across quite well in this book....without throwing it in the reader's face. You are very good at that, always have been. I love your reasoning behind the book, Marylu! :) It's so true, modern Christianity has become way too "rationalized" and I believe that's the reason why believers don't experience victory in their daily walk with Christ because they rely too much on the flesh instead of plugging in to the Spirit.I pray that this new novel of yours achieve its goal! An interesting point. I have actually read some Medieval works that touch on philosophy and the Medieval understanding od reason, and its fascinating to see that Medieval people did not consider faith and Reason to be incompatible. That was an idea that came in with the Enlightenment. Insstead, they considered reason to be a gift from God to help me understand the world, and something which defined human beings. What is also interesting is how many Medieval works of literature are peppered with quotations from the Bible. Clearly, some people were reading it. Its actually a myth that it was forbidden. People were allowed to read it- what the church was worried about was people spreading interpretations that were at odds with church teaching. Thanks for the information. All my research indicated that the common man was not allowed to read the Bible. In fact, most couldn't because it was only written in Latin at the time. But, maybe I missed something. Well, Alfred the Great is known to have done some work on translating the Psalms into Old English (Anglo-Saxon) way back in the ninth century. The people of his time had a big thing for poetry, and storytelling, and hearing Bible passages in poetic form and the like. I think it was more the case that most ordinary people just did not read it because it was in Latin, and Latin learning was more the preserve of clerics and theologians. They would have known bits and pieces they'd heard in church, been taught by their parents, or seen in miracle plays and the like. Its just that theology was not something that most people considered especially relevant to their lives. I suppose its like today, you can't go around legally calling yourself a Medical Doctor without a degree in Medicine, and they did not like the idea of just anyone preaching on deep and complicated aspects of religious teaching unless they had studied it. Thats OK. We are blessed to have so much surviving material from the Middle Ages in Britain. It makes me sad that people today tend to put God in a box or just don't believe in anything but themselves. TY for your enlightening article. God bless you. Makes me sad too, Lucy. I think in today's age the spiritual realm is considered almost like a fairy tale. Nice to think it's real, but lack of true belief or knowledge about it keeps it at arms length. It is not something that's discussed or taught a lot (or at all) in churches, but shouldn't it be since God told us to put on His armor to fight against evil spirits? On the other side, you once wrote that "We have the Spirit of the living God living INSIDE of each of us!" Talk about power! Why wouldn't you want to tap into that to fight off evil in every form? Thanks for 'enlightening' us with your words and books. Yes, Amy, that's the problem. It's not discussed or taught in most churches. Yes, we have the Holy Spirit, but we need to be taught how to work alongside Him to fight evil and heal and deliver others. Thanks! But no email address? The statistic about how many Christians don't believe in Satan is crazy! How..? Yea, I was shocked also. We work with many different faiths, within our mission work, have experienced and observed so much. God is real and so is Satan. I too was a part of the charismatic movement of the 70's. I still believe I have power in Him. Really looking forward to this book. I find it hard to be comfortable with that sort of thing, but it IS Biblical and I want to recognize it's value. I have two very good friends who are more charismatic than me and I know that very godly people can worship and serve God in a charismatic way. So just because it makes me uncomfortable due to it not being my background, I don't want to scorn it. Excellent post, once again. 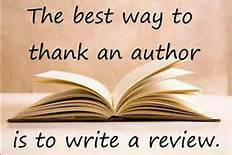 And thank-you for sharing your reasons behind "the title". I agree with everything you shared. Spiritual gifts are not discussed as readily today ... hence not often used or practiced. I for one, am guilty ... maybe in the false delusion that as I have 'aged', I am no longer worthy or capable of walking in any spiritual gifts. Now, I know that - that reasoning is wrong. 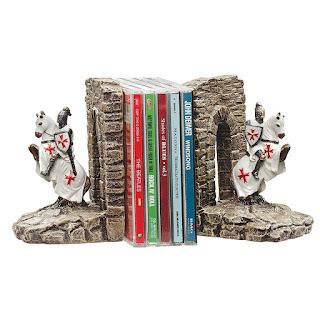 But I am so happy you have written -- first in the medieval genre, and secondly - including spiritual giftings. VERY MUCH looking forward to the new release ! Lol typo I meant Satan but to elaborate on that if they don't believe in Satan then they probably don't have a whole lot of faith in Jesus right? 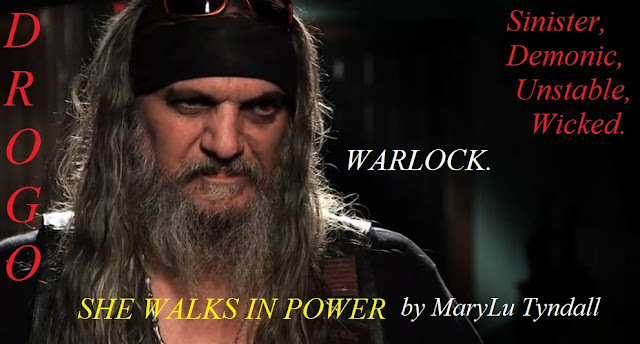 MaryLu, I love your post! Deception is increasing in these last days. I am fortunate to have Pastors that believe and teach the FULL gospel. We have witnessed the falling of feathers in our services. I am so excited for the release of SHE WALKS IN POWER. I agree! Christians need to know about the very-real spirit realm and the power we have in Jesus to overcome evil. Thank you so much for teaching us through your books. I am praying as well that many readers will grow in their understanding of spiritual things and want to experience the power, gifts, and miracles of the Holy Spirit. Very well said! In the early days of the church there were all sorts of miracles. Now today, they are pretty far and few between. The difference is definitely the level of belief. It is why in the Bible it says Jesus couldn't do anything in his home city of Nazareth because of their unbelief. I couldn't agree with you more, MaryLu!! Being raised in the Baptist faith, I had never encountered some of the things of the spirit realm which I encountered when moving to the Gatlinburg area and attending a non-denomination church. I was uncomfortable at first, however, came to love such things as tongues and interpretations, healings, and prophecies. I had hands laid on me for healing on 2 separate occasions while in Nashville just this last week. Congrats on 'She Walks in Power'!! I so wish the power of gifts was observed in all churches of the Christian faith! !